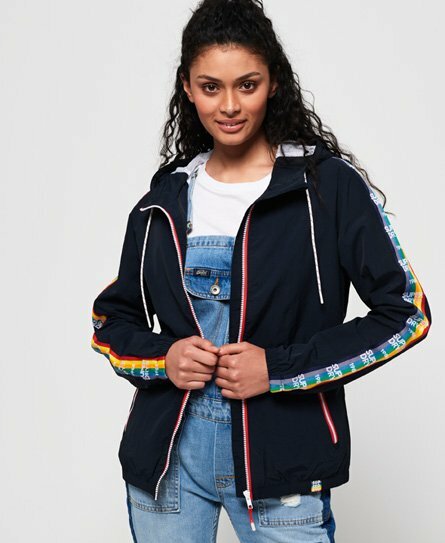 Superdry women's rainbow SD-Windbreaker. Update your outerwear this season with the rainbow SD-Windbreaker, featuring a drawstring hood, mesh lined hood and body and two zipped front pockets. This lightweight jacket is completed with rainbow logo tape detailing down the sleeves and a small logo tab on the hem.